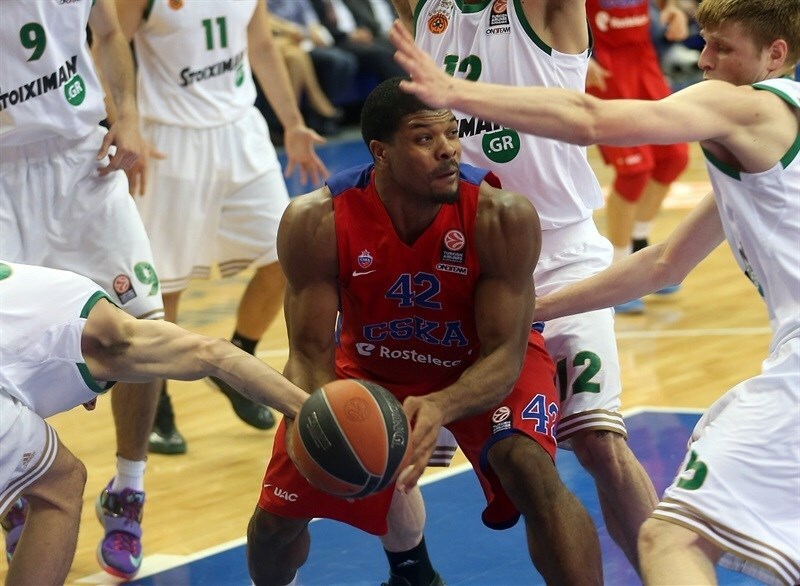 CSKA Moscow came within one win of its 12th Final Four in 13 years by beating Panathinaikos Athens 100-80 in Game 2 of their best-of-five playoffs series in the Russian capital on Thursday. 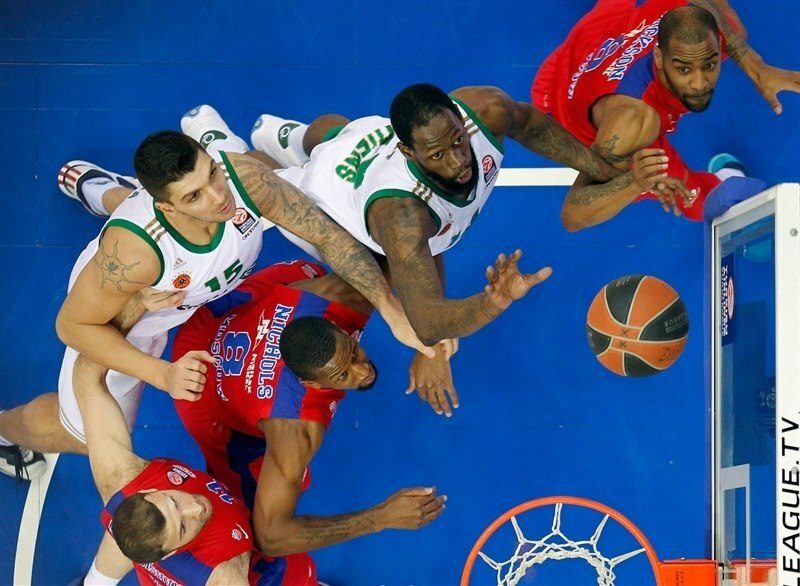 CSKA has a 2-0 lead in the series, which now moves to Athens for a do-or-game Game 3 for Panathinaikos. 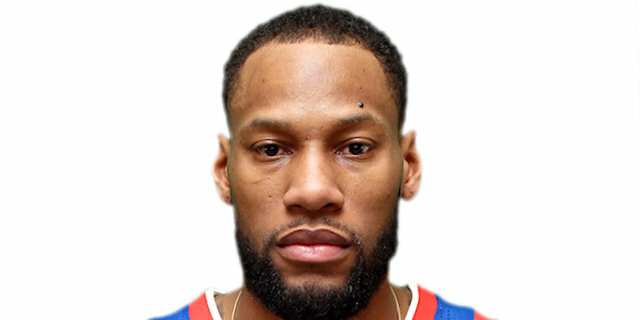 Sonny Weems led the winners with 20 points and Andrei Kirilenko and Nando De Colo scored 16 apiece for CSKA. Milos Teodosic recorded 8 assists as CSKA set a playoffs record with 28. 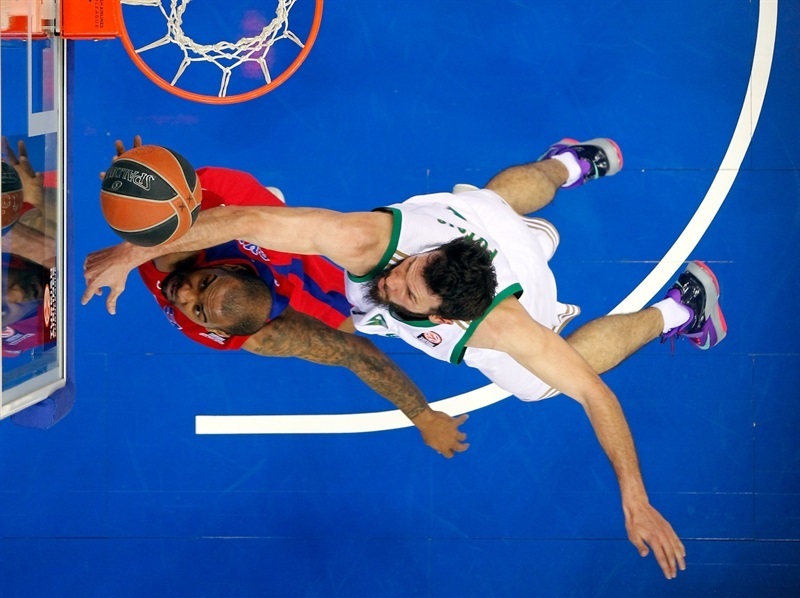 Vasilis Charalampopoulos led Panathinaikos with 14 points. Nikos Pappas and James Gist each added 13, Antonis Fotsis had 12 while Vlantimir Giankovits and Esteban Batista got 10 each in defeat. Panathinaikos got off to a strong start, as Charalampopoulos and Giankovits shined early to give the Greens an 8-14 lead. Kirilenko struck three times from downtown in a 15-0 run in which De Colo also hit a three-pointer at the first quarter buzzer to give his team a 21-14 margin after 10 minutes. CSKA kept hitting shots from beyond the arc and finished the first half with 6-of-11 three-point shooting and 14 assists. Kirilenko and De Colo took over late in the first half to make it 47-35 at the break. 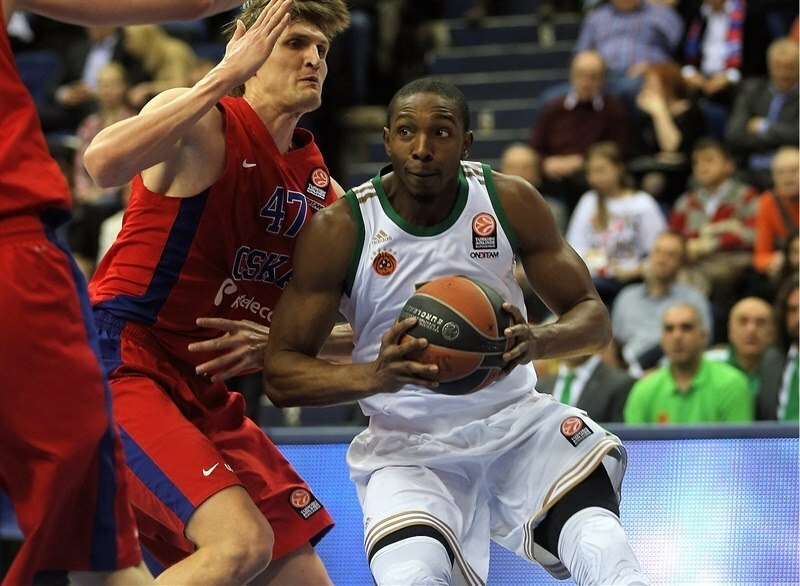 Nothing changed in the second half, as CSKA used a great team effort to extend its lead to 72-54 at the end of the third quarter and Panathinaikos never recovered. Vasilis Charalampopoulos got Panathinaikos going with a backdoor layup, which Sasha Kaun erased with a close basket. Panathinaikos slowed down the game tempo in the opening minutes with long possessions and by powering the boards. Charalampopoulos scored again before a layup by Sonny Weems tied it. 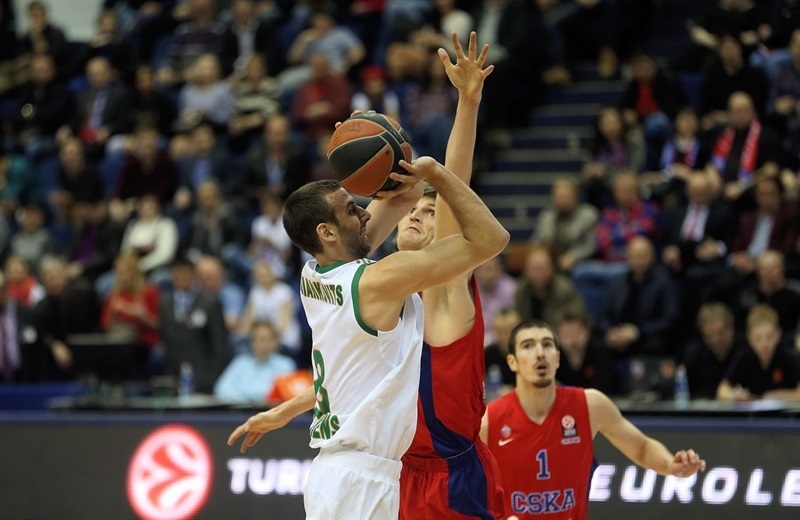 CSKA kept struggling to score and a layup by Vlantimir Giankovits gave the Greens a 4-6 lead. After Milos Teodosic sank a five-meter jumper, Esteban Batista quickly answered with a second-chance layup. A dunk by Kaun tied it at 8-8. 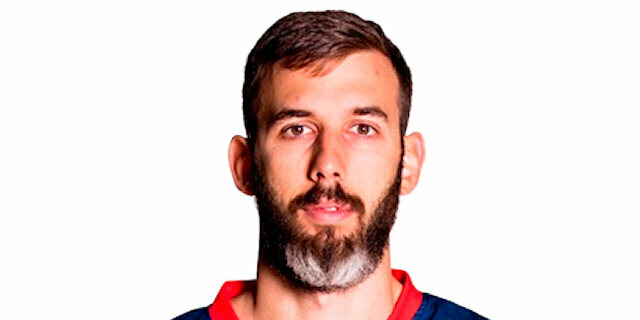 Charalampopoulos struck from downtown and Giankovits copied him right after that as CSKA fans started to wonder at 8-14. Kirilenko buried a three-pointer and a free throw by Kaun got CSKA within 2. 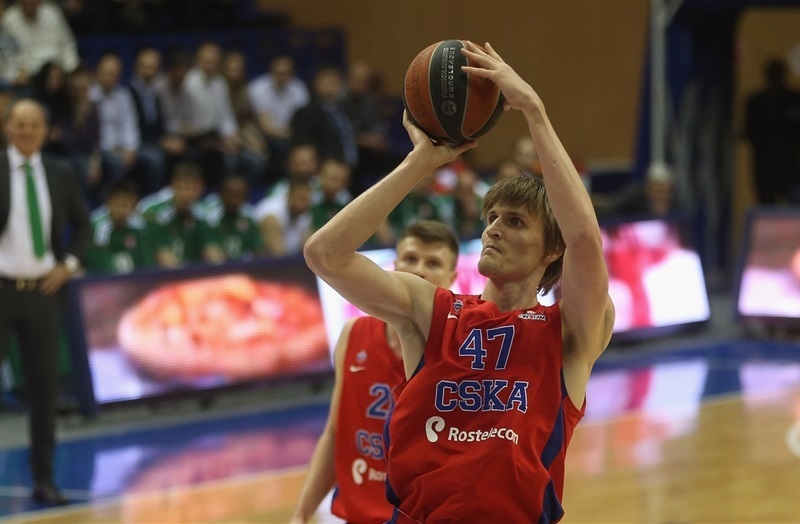 Kirilenko nailed two more shots from beyond the arc to give CSKA a 18-14 lead. De Colo beat the buzzer with a stop-and-pop, eight-meter bomb to give CSKA a 21-14 lead after 10 minutes. De Colo shined with a big basket in the low post early in the quarter, which capped a 15-0 run. Nikos Pappas tried to change things with a close jumper and a wild driving layup to keep Panathinaikos within 23-18. After Kyle Hines scored around the basket, James Gist made free throws. A step-back jumper by De Colo gave CSKA a 27-20 lead. 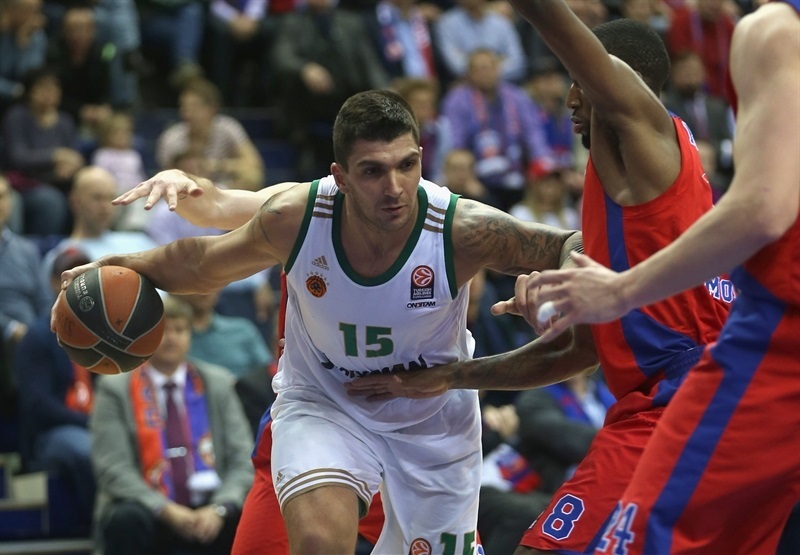 Manuchar Markoishvili made free throws, which Dimitris Diamantidis bettered with a triple - his first points in the series. 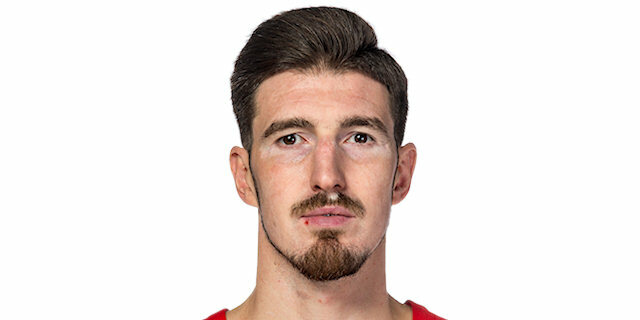 De Colo improved on Batista's layup with a bomb from downtown and fed Demetris Nichols for a layup in transition that set a 34-25 CSKA advantage. Batista scored again, but Markoishvili downed a three-pointer. Free throws by Antonis Fotsis kept the Greens within 37-29. Teodosic joined the three-point shootout. Batista banked in a close shot only to see Nichols give the hosts a 41-31 edge. Batista hit free throws and Fotsis scored down low, but Kirilenko followed a layup with a dunk and De Colo beat the buzzer again for a 47-35 score at halftime. Panathinaikos circulated the ball well to find Giankovits wide open for a triple from the corner. Kaun answered with a layup and Kirilenko buried another three-pointer to keep CSKA out of trouble at 52-38. Charalampopoulos scored off a midcourt steal, but Kaun found space for an uncontested dunk and a layup by De Colo made it a 16-point game. Gist split free throws, however a three-pointer by Andrey Vorontsevich broke the game open at 59-41. 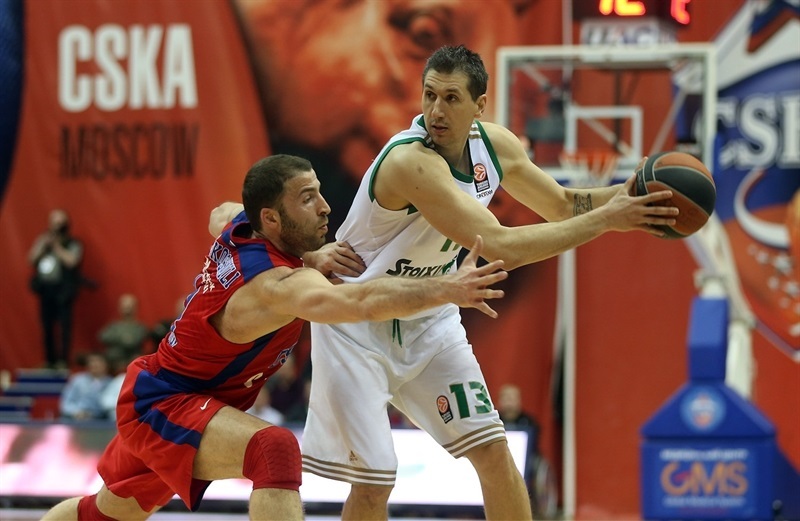 Diamantidis beat the shot clock buzzer with a bomb from downtown and Loukas Mavrokefalidis followed with a layup. Teodosic found Hines for a wild alley-oop slam. 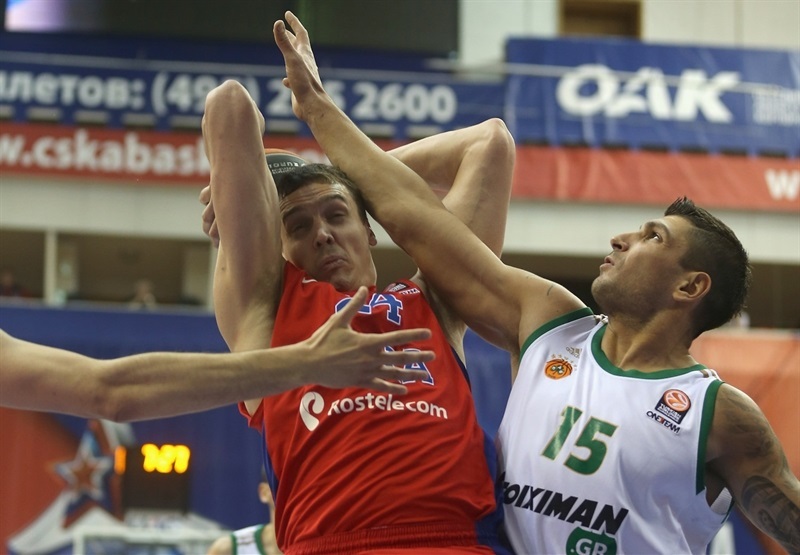 Charalampopoulos hit free throws, but a three-pointer by Weems boosted the hosts' lead to 66-48. A fast break layup by Aaron Jackson caused the Greens to call timeout down 20. Markoishvili and Nichols struck from downtown but back-to-back triples by Fotsis fixed the score at 72-54. Jackson shined with a driving layup early in the quarter and found Markoishvili for an easy basket that sealed the outcome, 76-54, with nine minutes left. A layup-plus-foul by an unstoppable Weems soon made it a 25-point game. Jankovic hit a six-meter jumper, but Weems improved it with a three-pointer and added a fast break slam for a 84-56 CSKA advantage with over seven minutes left. Weems scored again before Fotsis stepped up with a backdoor layup and Gist got the Greens a bit closer, 86-64. Pavel Korobkov shocked the crowd with a dunk-and-foul. Gist answered with a slam, but everything was clear by that point. "Congratulations to my team for the second win. We dominated and played serious most of the game and deserved to win. It was another good performance by our team, we lead 2-0 in the series and protected our home court, but our wishes are higher. We have to be ready for Game 3 and we have topics to work on. As you saw, Panathinaikos stepped up after the loss in Game 1, played more aggressive and will play even better in OAKA. Still I believe in my team. If we execute our plan, we will demonstrate good basketball in any circumstances. Considering that we played the second game in three days, I like the fact that we had 28 assists, played as a team, shared the ball and created open looks. 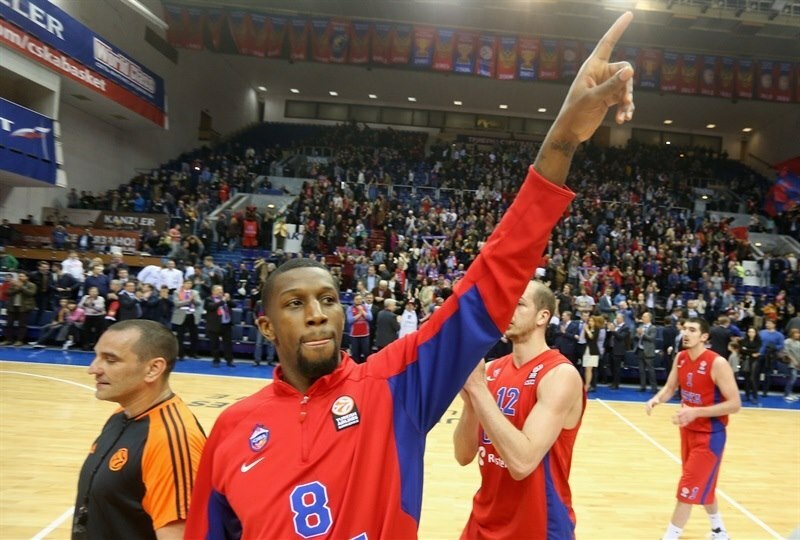 Everyone played not for himself, but for CSKA, this is what is important. I would like to thank our fans, who provided great support to us." "It was a different game. Despite the fact that we had a better margin, we lacked continuity with our defense. CSKA has the best roster in Europe, they punish you for every mistake. If they go up by 10, it is very difficult to catch them. Still I believe that we can win Game 3 and I hope we will make less mistakes in order to win." 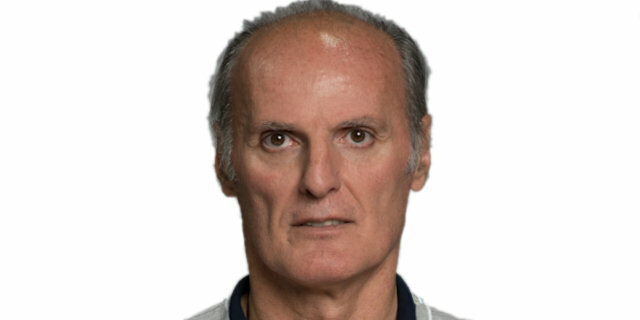 "From the beginning, Panathinaikos played very fast and really good aggressive basketball. But we came back in the game quickly after we responded with aggressive defense and moved the ball on offense. Now we need to continue like this and stay together. " "Defense was the key to this game. We played great team defense and we didn't let them get in a lot rhythm. It was just a great team defense all around. Game 3 will be a really tough one. Their crowd is really going to be into it and they are going to be motivated to play. We have to match their intensity level and come out to play." "We started well tactically. we did what we wanted to do during the game. And after a while CSKA made some good shots. They had really good percentage on three point shots, if you go into the details. When we had a turnover on offense, CSKA made a basket. Next time we definitely need to play better defense. We have to work hard. "